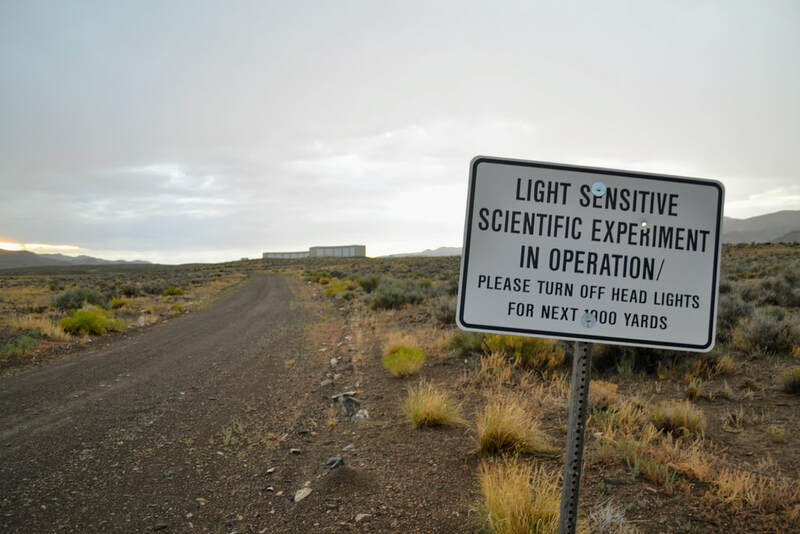 I teach science writing in the MA Science Writing Program at Johns Hopkins University and research cosmic rays for the Telescope Array Project at the University of Utah. Before this, I was a science editor for a decade, acting as managing editor for the Brussels-based NGO Atomium Culture and as a proofreader of graduate textbooks on engineering, computer programming, optics, mathematics, statistics, and astrophysics for CRC Press, a member of the Taylor & Francis Group. I also taught astronomy at the Pierre and Marie Curie School and the American University of Managua in Nicaragua from 2016 to 2018. I have lived in Utah, Toronto, Italy, Belgium, New York, DC, the Marshall Islands, Montreal, and Nicaragua as part of a Foreign Service family. I'm working on a nonfiction book. 4/17/19 Enumeration submission accepted by Orion Magazine​. No publication date yet. 4/2/19 Met with some of my favorite people in Utah and worked on programs for ultrahigh-energy cosmic ray telescopes. 2/17/19 Tended the JHU booth and had a great time at American Association for the Advancement of Science annual meeting. 2/15/19 Science article "I Fell Under the Spell of NASA's Most Notorious Thief" is published in ​The Atlantic. 1/19 I start teaching a new course I created for the Science Writing grad program at JHU. It's called Subatomic Writing, an elective that "examines writing on the particle level: sound, syntax, punctuation, rhythm, and pacing." I made a melodramatic movie trailer to introduce myself and the course to my students. 11/18 I drive myself and my son from Utah to Maryland, get my husband and stuff back from Nicaragua, and buy our first house, all in time for Thanksgiving. I am grateful for many things this year. I'll still be working remotely for Cosmic Ray Research at the U of U. 9/4/18 Flash-nonfiction piece "Walking by Dogs on a Marshallese Morning" is published on Brevity Magazine's podcast, Episode #10: One-Minute Memoirs. Starts at minute 33. 7/18 I start working again for the Cosmic Ray Research Group at the University of Utah! Besides running the fluorescence detectors and fixing the scintillation detectors out near Delta, Utah, I'm working on a project to align new telescopes to the stars of the sky very precisely. 6/10/18 to 6/15/18 Attended the Orion Environmental Writer's Workshop in Rhinebeck, New York. 4/26/18 My son and I were evacuated from Nicaragua to a safe haven in Utah. I finished teaching my astronomy students online, although it was not easy for them. (Image of Nicaraguan police shooting at their own people taken on May 29, 2018.) One student, Marco Novoa, described in an interview how he was tortured by the Ortega administration. 4/12/26 ​I gave former Sandinista commander Dora María Téllez a copy of my essay "On the Revolution of Revolutions: Nicaraguan Women After War," which turned out to be more prophetic than I liked. The essay is now available online on the CONSEQUENCE Magazine website. 3/8/18 At AWP Conference in Tampa, Florida, on duty at the JHU Booth. More information about the MA in Science Writing Program can be found here. Great to see Bennington College friends and other familiar faces too. 3/3/18 Invited to attend moon ceremony of indigenous people of Nicaragua in Jinotega. 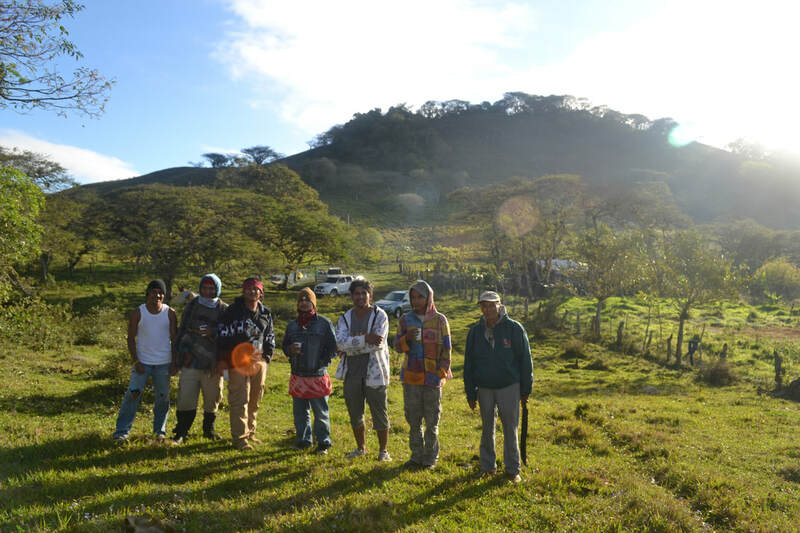 Camping with them as well as Sandinista freedom fighters under the shadow of the sacred mountain Yuca Puca was quite the experience. 2/16/18 Accompanied students to Humberto Solorzano's organic farm Tonantzin in La Trinidad, Nicaragua, where we learned about sustainable farming in the dry tropical zone. Humberto also built me an astronomy tower! Observation nights in the works for astronomy students. 2/12/18 First day teaching astronomy at Universidad Americana de Managua, Nicaragua. 2/9/18 Flash nonfiction "Walking by Dogs on a Marshallese Morning" accepted for Brevity's One-Minute Memoir issue. Unknown publication date. 2/06/18 Checked in with Pierre and Marie Curie School. The Science Literature Library we started is still going strong! 1/26/18 Interview with Brendan O'Meara from The Creative Nonfiction Podcast, Episode 85. 12/28/17 "Makeup of a Monster" accepted for publication at Creative Nonfiction Magazine. Will be published March 2018. 10/13/17 Magazine event launch at the National Academies of Science, Engineering, and Medicine in Washington, D.C., to celebrate the publication of a collaborative Science & Religion issue. "Shuddering Before the Beautiful" essay won the $5,000 runner-up prize and can be found in both Creative Nonfiction Magazine and Issues in Science & Technology. Photo by Matthew G. Bisanz. 9/16/17 "On the Revolution of Revolutions: Nicaraguan Women After War" accepted for publication for a special 10-year anniversary issue at CONSEQUENCE Magazine. Forthcoming January 2018. 8/28/17 Started teaching the Prizewinners course at Johns Hopkins University. Find more information on the Science Writing Master's Program at JHU here. Will be teaching the Science-Medical Writing Workshop Spring 2018 semester. 7/3/17 Creative Nonfiction Magazine and Issues in Science & Technology will publish essay "'Shuddering Before the Beautiful': Trains of Thought Across the Mormon Cosmos" this October as part of a special issue on science & religion. 5/30/17 Accepted position to teach science writing to MA students at Johns Hopkins University. 5/25/17 Spoke with Sandra Cisneros during her visit to Nicaragua. Her message to Nicaraguan girls: 1) make your own money, 2) control your own fertility, 3) learn to enjoy being alone. 5/8/17 Interviewed Comandante Dora María Téllez. Essay forthcoming in ​CONSEQUENCE Magazine. 5/7/17 Took Pierre and Marie Curie students to see the movie Hidden Figures--free tickets and special viewing courtesy of the U.S. Embassy. 4/30/17 Judged NASA's SpaceApps Challenge at Universidad Americana de Managua. 3/9/17 Assembly at Pierre and Marie Curie School with Dr. Jaime Incer Barquero to award my students for analyzing images from the Pan-STARRS observatory in Hawaii and preliminarily discovering 10 new asteroids through the International Astronomical Search Collaboration (IASC). 1/26/16 Fully armed and operational astronomical station at Pierre and Marie Curie School, Managua, Nicaragua. 10/24/16 "Landscape with Broken Fire Hydrant: An Interview with Jamie Zvirzdin" published by MFA Day Job. 9/6/16 "Observations of a Science Editor: If Romantic Scientists Pilfered Fiction's Toolbox, So Can You" published by The Kenyon Review as part of a special discussion on "The Poetics of Science." Responses to the essay from scientists, writers, and editors will be posted throughout September and October. 9/1/16 Fresh Courage Take nominated for Best Anthology by the John Whitmer Historical Association. 3/5/16 Fresh Courage Take finalist for the 2015 Smith-Pettit Foundation Award for Outstanding Contribution to Mormon Letters, Creative Non-fiction.